Allergy Standards Limited (ASL), the International standards and Certification Body (CB) for allergy labelling, today announced that the AeraMax™ line of air purifiers from Fellowes®, Inc. have passed the relevant Certification Standards. The product will now be added to the certification product database (CPD) and will therefore be eligible to joint one or more of the asthma & allergy friendly®®Certification Programs in association with the relevant national patient advocacy group. The product will also now be findable on the certification web site and the companion app which is available in the App store and Google play. How did the AeraMax line of air purifiers obtain the Certification? Evaluating the capability of the air cleaner to reduce bio-allergen level in a defined space. 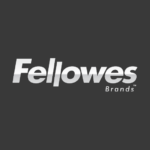 Fellowes then obtained the certification after the products they sent for testing passed the tests and met the scientific requirements. The AeraMax purifier brand is a brand created by Fellowes to provide high performance machines for home and professional use. With state-of-the-art technology that automatically monitors air and adjusts its settings, the new AeraMax series helps families breathe easier in their homes. AERAMAX AIR PURIFIERS Fellowes Aeramax Air Purifiers – Why Purify? By admin|2019-04-16T14:46:49+00:0030 October 2014|Comments Off on AeraMax™ line of air purifiers from Fellowes Passes ASP:08:01/101 Air Cleaner Certification Standard.